Rackham Graduate School welcomes Brahim Medjahed as an associate dean for academic programs and initiatives. His appointment was announced by Martin Philbert, provost and executive vice president for academic affairs. As associate dean, Medjahed will serve as liaison between Rackham and the University of Michigan-Dearborn campus and oversee the implementation of four new Rackham Ph.D. programs, the first to be offered at UM-Dearborn. Last winter, the Rackham Executive Board approved the creation of Ph.D. programs in computer and information science; electrical, electronics, and computer engineering; industrial and systems engineering; and mechanical sciences and engineering. In his new capacity, Medjahed will coordinate both the academic and administrative implementation of Rackham policies and practices to promote academic quality, track admissions and academic progress, and enhance the student experience in these programs. 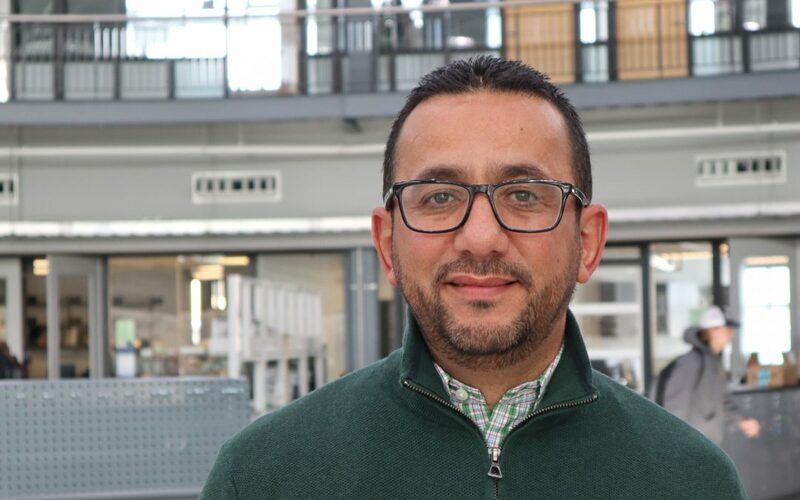 Medjahed’s highly cited research focuses on advancing the state of the art in service-oriented software management, particularly as it relates to emerging topics like cloud computing, the Internet of Things, big data, mobile technology, and social media. His work has been supported by major companies and organizations, including the National Science Foundation (2007–2011), the U.S. Department of State (2008–2009), and Ford Motor Company (2010, 2016–2018). His publications include the books STEM Learning: IT Integration and Collaborative Strategies and Service Composition for the Semantic Web, alongside numerous journal articles, book chapters, and conference papers. In 2017, he was named a senior member of the Institute of Electrical and Electronic Engineers, the largest technical professional organization dedicated to advancing technology for the benefit of humanity in the world. Medjahed has also led or been a member of 13 Ph.D. committees, participated in 16 master’s degree thesis committees, and advised 71 master’s degree capstone projects. He received the UM-Dearborn 2018 Distinguished Teaching Award and UM-Dearborn College of Engineering and Computer Science 2018 Excellence in Teaching Award. “As we embark on this new, exciting journey with Rackham, I’m looking forward to ensuring that our Ph.D. students, faculty, and staff feel a part of the vibrant and diverse Rackham community,” he said. Medjahed earned his undergraduate and master’s degrees in computer science from the University of Science and Technology-Houari Boumediene in 1991 and 1995, respectively, and his Ph.D. in computer science from Virginia Tech in 2004. He served as a research assistant in the Virginia Tech Department of Computer Science from 1999 to 2003, after which he joined the faculty of the UM-Dearborn Department of Computer and Information Science as an assistant professor in 2004. He was promoted to associate professor in 2010 and professor in 2018.